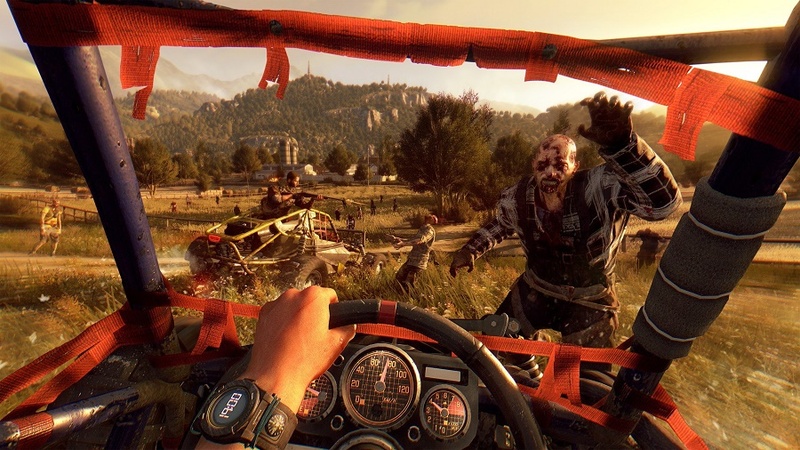 When Techland released Dying Light in early 2015 many gamers were expecting something similar to their earlier zombie game Dead Island, but were refreshed by finding a parkor inspired zombie slayer. Almost a year later the “Enhanced Edition” is released for those who may have missed out on the game entirely, or just skipped over the season pass. Along with all the previously released content players also receive “The Following” expansion, but is this too little too late to make a difference to those who’ve let the dust collect on their game disc or even draw in newcomers? Missed out on the Cramgaming.com review of Dying Light, then click here and catch up on what you’ve missed. While the first edition of the game had its flaws, it was a breath of fresh air for gamers looking for something different and that they could play with up to 3 of their friends with seamless transition. There is also the “Be the Zombie” mode which pitted players against a special zombie called a hunter that was player controlled. It wasn’t as fleshed out as Left 4 Dead’s zombie vs. human multiplayer, but it is a great change of pace for those wanting to test their skills against something a little tougher than the AI. All of this transitions into the Following expansion to maximize mayhem and fun. One of the first things you’ll notice with the Enhanced Edition is the improved visuals. The original didn’t look bad, but now the textures are smoother and the environments and character models have greater detail. Dying Light retains its superb soundtrack and sound effects that set the mood and pace of you’re exploring of Harran and the countryside. Some of the game’s mechanics have been tweaked to get rid of those annoying grappling flaws and the aggravating close quarter combat hiccups. Even the AI has received a nice bump in difficulty for the more dangerous zombies like the volatiles and the zombie horde attacks in new ways to keep the player on their toes. The Enhanced Edition offers the Bozak Horde, Cuisine & Cargo, and new outfits & weapons DLC as part of the overall package, but what players are really after is some new content that expands beyond the endgame presented in the construction site in Harran. That’s where The Following comes into play and picks up where the first game left off. Crane is still looking for a way to slow the virus down or find a cure for all of his friends when he hears about a group of survivors who have become immune to the zombie virus. He slips out of Harran and into the surrounding countryside only to find that those who are immune are part of an ancient cult led by a mysterious leader called “the mother.” In order to get the cure you must gain the trust of the cult members by performing helpful tasks and missions in order to get into their inner circle and finally meet up with the mother. You’ll find the same structured assignments you found in Harran, but in an entirely new environment. The sprawling urban jungle with buildings galore used to escape from the zombie masses or elude volatiles has been replaced by a vast countryside that has scattered villages and large pastures teeming with zombies instead of livestock. In the past it was easy to climb to safety or use your grappling hook to pull yourself away from near death, but now players must use stealth and common sense when exploring. If you thought venturing out at night was tough in Harran you’re in for a treat now that safe areas are few and far between. Getting caught after dark is no joke and nobody likes losing experience points because of poor time management. Luckily Techland has introduced a dune buggy into your arsenal to assist you in your travels across the countryside. This isn’t just a tacked on feature, but a game changer that brings along a whole new driver skill tree that allows you to boost your ride into a zombie mowing machine. The mechanics take a little time to get use to, but after taking a spin around the open environments you learn what you can’t run over and what you can. Just beware that the degradable weapons system carries over to the buggy and all of its working parts. You’re not going to get far on flat tires, a busted suspension or faltering engine and once the Volatiles hear the sound of the buggy the pack is swarming you like ants to a picnic. They give pursuit like a cheetah after a gazelle so you’ll have to be nimble and quick or they overtake you and latch onto the buggy causing damage to both you and your ride. You can slam the brakes to throw them off, use the e-brake to toss them or hit the nitro to leave them in the dust as a defensive measure. In order to fix up your buggy you must scavenge the countryside for parts from broken down vehicles as well as keep an eye out for fuel to keep you moving through the massive map. It takes time and patience to find those key components to upgrade your vehicle of death, but running over hordes of zombies makes it all worth it. There are also new farm based weapons you can equip Crane with, so if you want to become a reaper, map that scythe to a hot button and slice away. Love Daryl Dixon of the Walking Dead? GREAT! 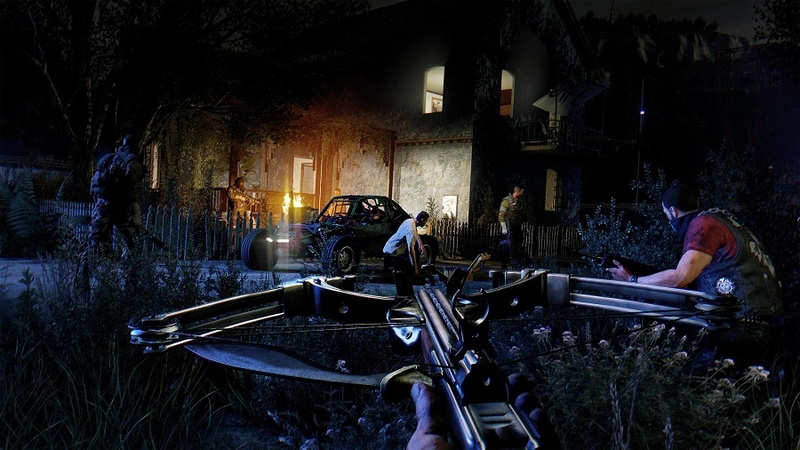 You can now emulate your favorite character and take zombies out from a distance with an extremely powerful crossbow. This isn’t your ordinary expansion, but a game within a game offering new ways to play and challenge the player. Missions have that rinse and repeat feel, but help propel the story better than the original game. New activities like wiping out Volatile hives have great risk vs. reward benefits by decreasing the amount of roamers on the map, but throwing you into a den of wolves. 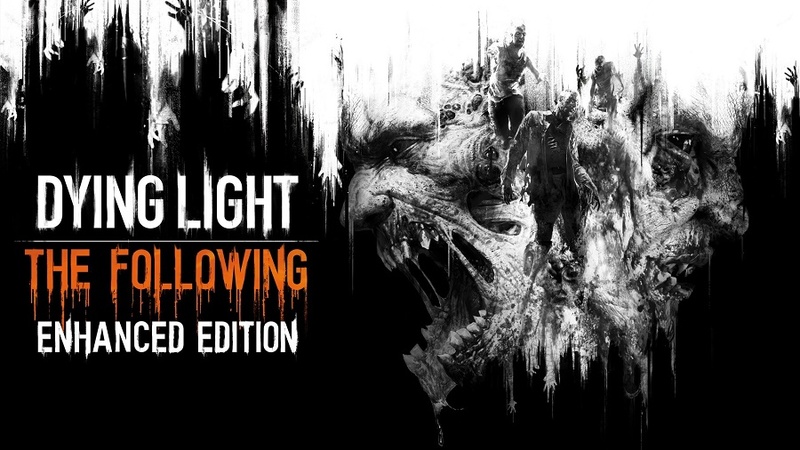 Dying Light Enhanced Edition gives the player a smorgasbord of zombie slaying fun while improving some minor flaws from the strong foundation of the original release. Throw in all the DLC released to date, “The Following” expansion, and you have a massive amount of gameplay that will keep any zombie enthusiast busy for months. 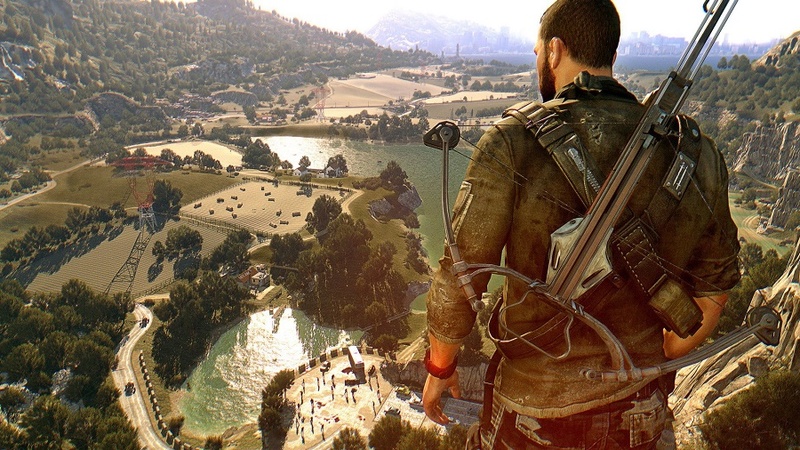 It is hard for any game to keep its fans interested after such a long period, but Techland has definitely reanimated the game and promises there is more in store for Dying Light over the course of 2016.